The Philadelphia region’s rich history is not limited to what is taught in history class – the region boasts an impressive architectural history as well. It is an amalgamation of styles which reflect the city’s long aesthetic evolution. 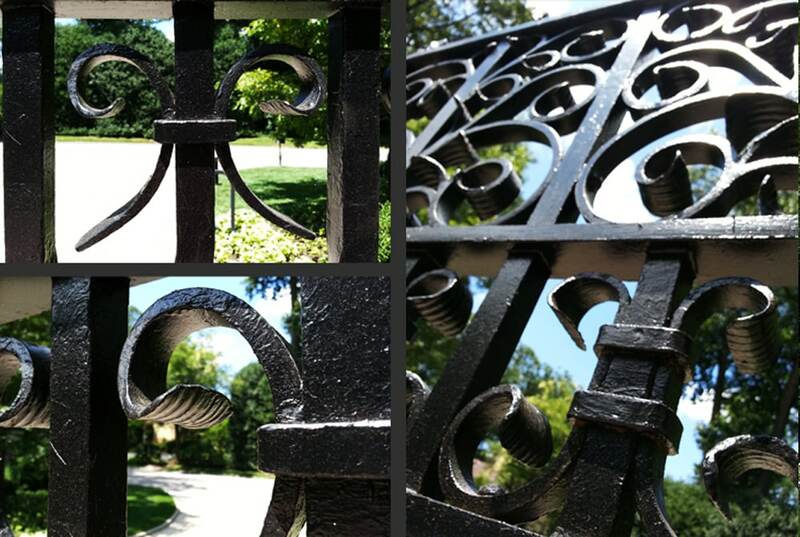 During the time when Philadelphia’s Main Line region was being settled in the early twentieth century, American master blacksmith Samuel Yellin created some of the most beautiful ironwork of the era in Philadelphia. Much of his work and stylistic influences are still prevalent in the region. 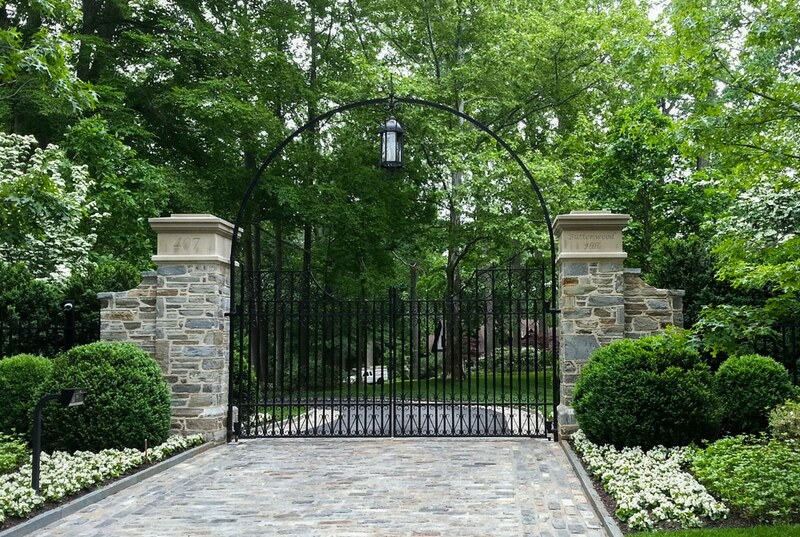 When a client recently requested our assistance designing a new set of secure iron entrance gates befitting their historic home, we looked to Yellin for inspiration. As the photos illustrate, much of the detailing is similar in scale and proportion. Forged fish-tail scroll work, drawn and twisted pickets, and the extensive use of collars and rivets contribute to the authentic, period detailing. Even the patination of the finish was crafted to simulate the appearance of earlier underlying layers of paint covered by a recent fresh coat; in reality the entire piece is actually brand new. 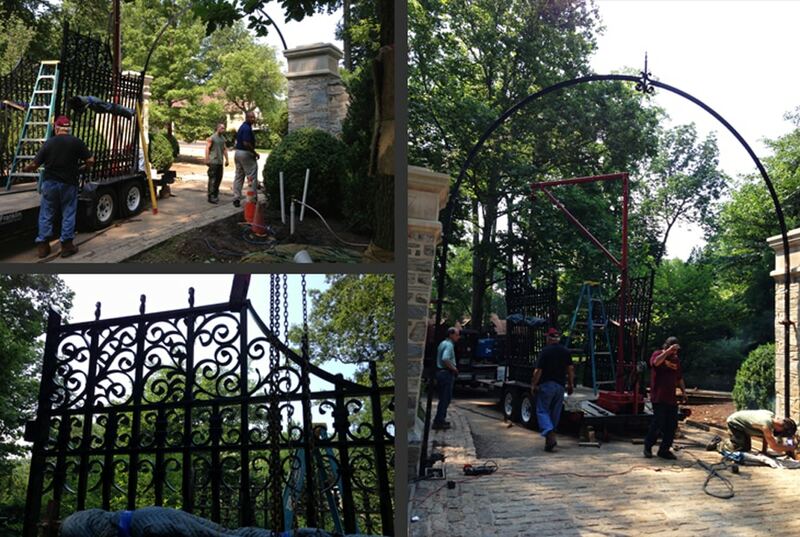 The craftsmanship is attributed to the fine work of Red Pepper Forge, who created a truly singular installation. Custom lighting by Heritage Metalworks.